Owning a business, home, car, or boat can bring lots of fun and great memories. But the more you have, the more you have to lose. Unfortunately, lawsuits have become the norm in our society. They are on the news, in the paper, and even blasted on social media. Businesses can experience a workers’ compensation claim or employment discrimination incident that can trigger a lawsuit. At home, a pool or auto accident can end with you getting sued. You hope it won’t happen, but how do you protect yourself in the event of a lawsuit? 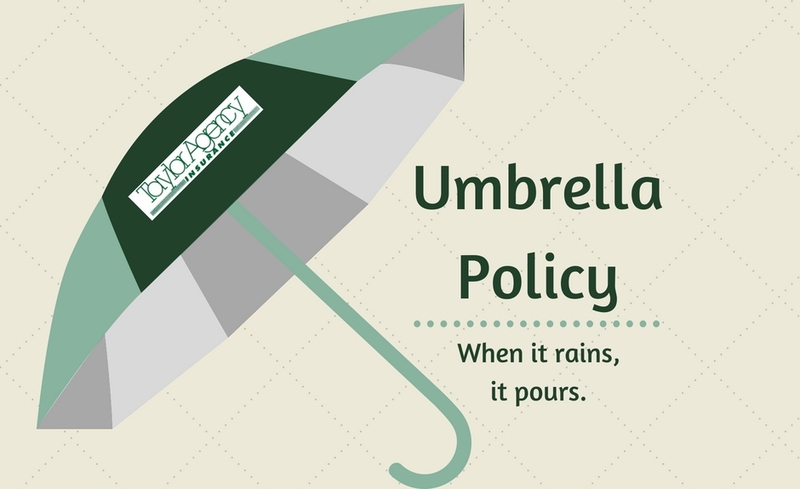 An umbrella policy is extra liability coverage that can be added to your homeowner’s, commercial, auto, or other insurance. This is an additional layer of protection for your assets in the event that you or your property causes damage to another person. This policy adds protection to business or personal assets. The policy kicks in when the limits on your original policy have been exhausted, which is not hard to do in a lawsuit. Instead of having your home or car seized, your umbrella policy will pay the price up to its limits. It also has broader coverage for a general liability claim that your general liability policy does not cover. Discuss the details of your general liability policy with your agent to find out how an umbrella policy will benefit you specifically. Most carriers will require you to carry a certain amount of liability insurance on your policy before selling an umbrella policy to you; however, when it is time to purchase an umbrella policy, it is less than $400 per year for $1 to $2 million of protection (Trusted Choice). Talk to your agent today to find out how you can make sure that you and your assets are adequately covered with the addition of an umbrella policy!